One of the most significant oceanographic features in the Americas is the Gulf of Mexico Loop Current System (LCS). Understanding the dynamics of the LCS is fundamental to understanding the Gulf of Mexico's full oceanographic system, and vice versa. The book brings to life the world's largest geological research program, which has been drilling over many decades at many locations below the ocean floor to recover cores of sediment. Study of these materials helps us understand how the Earth works. This volume examines the current knowledge about the hard mineral resources within the EEZ, explores the economic and security potential of seabed resources, and assesses the technologies available to both explore for and mine those resources. The oceans are in interactive contact with the atmosphere, biosphere and lithosphere and virtually all elements pass through the ocean. In this class we learn about the first-order processes that take place within the sea and affect its chemistry. Bathymetry is the only way to explore, measure and manage the large portion of the Earth covered with water. This book presents some of the latest developments in bathymetry, using acoustic, electromagnetic and radar sensors, and its applications. 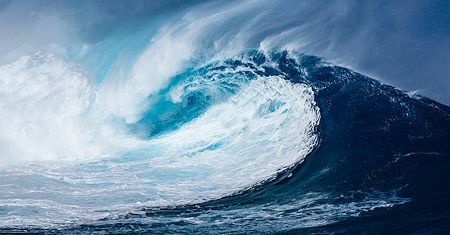 An overview on the problem of rogue or freak wave formation in the ocean. The matter of the phenomenon is a sporadic occurrence of unexpectedly high waves on the sea surface. This paper addresses to the nature of the rogue wave problem. Observations of ocean temperature confirm that Earth is absorbing more energy from the sun than it is radiating to space as heat. The energy imbalance provides verification of the dominant role of the human-made greenhouse effect in climate change. This report describes research opportunities in statistics and applied probability arising in physical oceanographic applications. The intended audience are statisticians and people with a background in statistical applications to science. A survey of well-established oceanographic knowledge. The book provides a good deal of factual information, but above all it should be an aid to the beginner and specialist alike in the coordination of the various fields of oceanography. Author wrote this book to describe his experiences in conducting oceanographic experiments at sea. Working at sea is unlike any other endeavor. It has been the author's experience that most people are not properly prepared for their first cruise. An introduction to regional oceanography for undergraduate students of marine sciences. This is an interdisciplinary introduction into all sciences of the oceans. The text does not require any understanding of mathematics and theoretical physics. This is a textbook written for upper-division undergraduates and graduates in meteorology, ocean engineering, and oceanography. The author explains the major conceptual schemes that form the foundation of physical oceanography.